My name is Tom and I'm a very happy 1st time owner of a 2003 Porsche 911. I met few of you at the new member meeting few weeks ago. This meeting will stick with me for a very long time (read: exotic car spotting). The issue that I'm having is that my car came with a Fabspeed cold air intake which is not CARB cert and I know that I will fail a visual inspection because it doesn't have a sticker. However, I'm certain that it will pass sniff test because it passed a smog check last May (done by a previous owner). - do you have an extra OEM airbox to use just for the smog check? - do you have any other recommendation how to go about this? Thank you very much for consideration and comments. Last edited by Tommhnyc on Wed Jan 30, 2019 2:17 pm, edited 1 time in total. Thanks to Russell's OEM airbox, I passed the SMOG inspection 2 years ago. I went to the same station again today and they failed me on a visual of the Fabspeed exhaust system - which was put on by the previous owner and doesn't have a cert either. Obviously, the inspector missed the custom exhaust last time but it passed the inspection anyway. Hence, a question about the station that is more "customer" friendly. How "custom" is the exhaust? I assume it's more than just a cat-back? Last year, I took a car to Penasquitos Auto Repair for a smog check with a straight pipe cat-back, no muffler, and it passed. I did have the OEM cat and functional downstream O2 sensor. It's a full Fabspeed system including mufflers, cats, and tips - not sure about the headers. Nevertheless, it passed on the same setup 2 years ago when the inspector didn't check it visually. Welcome to the world of augmented performance cars. I won't get into the nightmares that I've encountered with smogging my 1983 911 with a 3.6L 1989 engine. there's not enough time in the day... or enough room in one post to go into details. 1) Make good friends with an authorized/qualified Porsche shop and mechanic.... I mean GOOOOOOD Friends. Talk with them extensively regarding the mod's your car has, what you might need to do to get the car to pass visual and diagnostic smog tests (no more "sniff tests" for cars 2000 make and later unless under special circumstance... just a OBD reading from your computers), and what you can do to save some $$$ by doing some of the wrenching yourself. 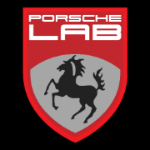 3) Discuss having your Porsche Technician take the car to a smog referee to determine what you need to do to be in compliance. Sometimes the ref. 's are understanding of your situation and will work with you to be in compliance. There are a couple of shops that advertise in the Windblown Witness. Call them all and discuss your situation with their top wrenchers. They will steer you in the right direction. I currently own 3 exhaust systems and 3 intake systems for my 3.6L. Yep, one set of each is strictly for the 2-year "Bend over and pay your smog dues" event that my proctologist giggles about every other year. You may need to stockpile the needed parts for smogging your car. I'm not the only club member that does this. You may need to do this too. I do as much wrenching on the car to install the "smog" parts as I can. I save my mechanic a couple of hours by doing the easy stuff myself. The rest is up to him, and we have the drill down to a bit of an art. I still don't get off cheap for all I have to do to pass smog. Not by a looooong shot. It's the price I pay for outstanding performance from a 30+ year old car. If this all sounds too "unpleasant" ... buy a Prius. Otherwise, enjoy your modified sportscar, and try to smile when the square peg meets the round hole. That's my take on your situation. Others may vary. I wish you good luck. Drive fast, take chances. Dan Chambers wrote: Welcome to the world of augmented performance cars. Thank you for your message - Greatly appreciate that. I totally get custom car builds and their complications. Hence, I replace my cold air intake for the SMOG check. However, I really don't want to take off my exhaust system just to get the SMOG check done, especially after realizing that it would pass it. I will try my local guys in PQ first. Have not passed SMOG yet. Another shop decline due to "tampered" cats - no stickers. DOES anyone have a spare OEM exhaust system (for 996.2) for sale or to land so I can install and pass the SMOG test?